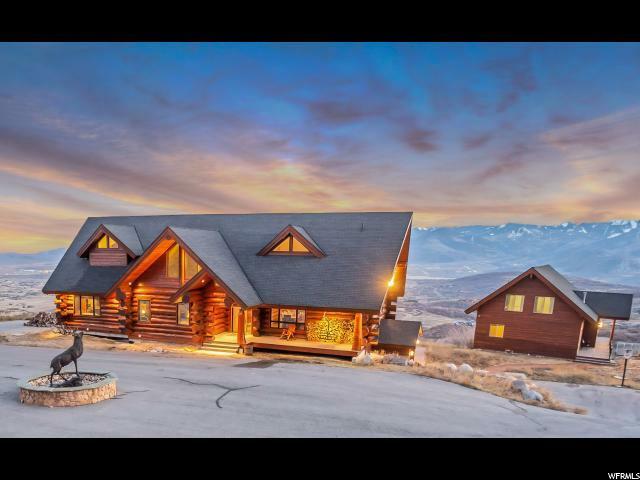 Magnificent handcrafted log home on ten acres. 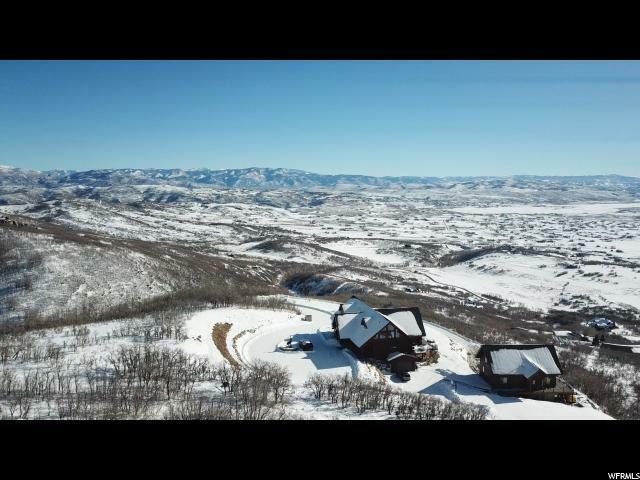 This beautiful, custom log home, cut and assembled in Canada, is one of a handful of log homes in Park City of this quality, and its south facing views are 2nd to none! 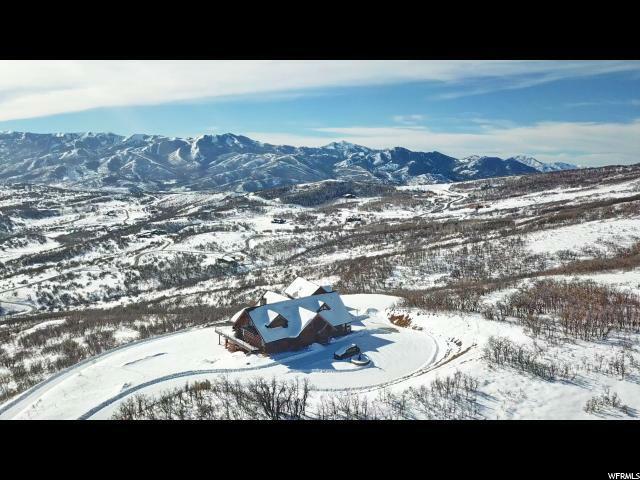 Main home, measuring 6,846 sq ft, has 6 bedrooms, 6 bathrooms, and 2 car garage. Main floor master with his and her closets, great room w/ rock fireplace, vaulted ceilings. Loft and bunk room. Nicely configured family room, high ceilings, wet bar, good light, theater room, radiant heat. Lower level walk-out, patio, fire-pit. Outbuilding includes 2 br caretaker's quarters (1,750 sq ft apartment above 4 car garage). Main house & outbuilding have wrap around decks totaling 2,000+ sq ft! 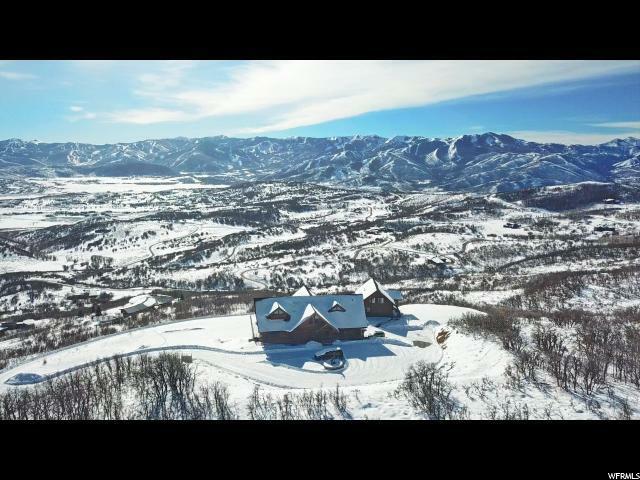 Stagecoach Estates is a gated community, very accessible to Park City, Kimball Junction, I-80. Jump on a snowmobile or 4 wheeler & go from your driveway for miles & miles. A Park City Certified Pre-owned Home - inspected, repaired & warrantied. Well-maintained. Sold furnished, including mountain rec. vehicles (motorized toys).